The press release for Bang touts US underground indie darlings the Jesus Lizard as the ’90s greatest live rock and roll band. Having witnessed their monstrous, bourbon-fueled act numerous times, I’d say they could easily be the ’90s greatest rock and roll band, period. 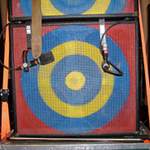 Bang represents a solid and favorable testimony to the group’s musical prowess. 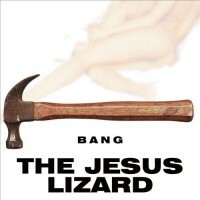 From their covers of songs by Chrome, Trio, and the Dicks, to live versions of “Gladiator” and “Monkey Trick,” to the Lizard’s own (literally) over-the-top “7 vs 8” and “Mouth Breather,” Bang gathers previously released material off seven-inch singles plus a few unreleased goodies recorded before the band called it quits last year. This is the last Jesus CD, unless, of course, we have a second coming. Originally published in the Orlando Weekly on February 24, 2000.